Some 50 years ago, thousands of excitable young servicemen landed on the white sands of a Pacific paradise to oversee Britain's testing of early nuclear bombs. But what happened next damaged them mentally and physically for life, some claim, and now they want to be compensated. Dressed in overalls, white protective gloves and a balaclava, 21-year-old naval cook Dougie Hern was ordered to sit on the beach, back to the bomb, his knees pulled up, eyes closed and hands over his face. A countdown began... three, two, one. "We saw a bright, brilliant light," he recalls. "It was as if someone had switched a firebar on in your head. It grew brighter and you could see the bones in your hands, like pink X-rays, in front of your closed eyes." Seconds later, they were ordered to stand and turn towards the blast. People were knocked off their feet, palm trees shook, birds were blinded and glass shattered as a mushroom cloud rose from the horizon, parting the clouds. Moments later, the servicemen were told to stand down and resume their duties. It was all over in about 14 seconds, but Mr Hern, now 72, believes radiation exposure on that day and four others is behind his diabetes, the spurs growing on his sternum, and much worse, the death of his 13-year-old daughter from cancer. For decades, British ex-servicemen who were stationed on Christmas Island in the South Pacific in the 1950s have been embroiled in legal battles, trying to win recognition for their work and compensation for poor health they say is the result of the nuclear tests. Their latest attempt to sue the British government goes before the High Court on Wednesday, when the Ministry of Defence (MoD) is expected to argue the claims have been brought too long after the events. If the MoD loses, the government could face its largest class action yet, involving claims for millions of pounds from 1,000 individuals, say the veterans' lawyers. Compensation claims by members of the armed forces are not uncommon these days, but the events from the 1950s are unlikely to ever be seen again. Against a backdrop of de-colonisation and the growing threat of the Cold War, Britain was desperate to establish itself as a nuclear power. 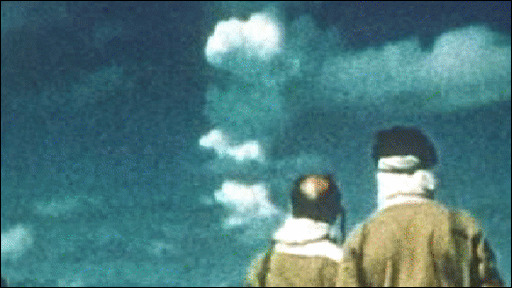 The tests, which encompassed six nuclear blasts in all, sent a message of might to the world. But the apparent lack of concern for the wellbeing of servicemen has left shockwaves of anger in some. "If they gave the order today, there would be wholesale mutiny on the ship," says Mr Hern. "We had complete faith in our masters. We were trained not to ask questions. We knew what had happened in Japan. I thought it could not happen here. They would not do it to us." A job in the armed forces was about being "one of a number", according to Derek Chappell, who had to record data from the H-bomb from about 20 miles away. Tony Stannage, a sapper in the Royal Engineers brought to the island to build living quarters, roads and the airstrip, says they had no choice. "It was our duty. If they were going to do another test today, where would they do it?" The take-it-in-your-stride attitude was so ingrained in Mr Stannage, it was not until a 2002 Christmas Island reunion with fellow servicemen that he spoke of the bombs. "My family and friends might have read about them but they would never have understood," he explains. For others, the day Britain detonated its first H-bomb over Christmas Island is a story that has been told time and time again, some memories merging, others melting away. "Everyone in my mind tells a different story but no one is telling lies," says Mr Stannage. The recollections of these three ex-servicemen suggest an island that may have looked like a tropical idyll but in reality was a place to make do and dream of home. There was little food, land crabs roamed the island, coconut palms were used for fans and clothes were stored in orange boxes. Orders were to dress only in long-sleeved shirts and full trousers to avoid the blistering heat. On bomb test days, some servicemen were given the same protective gear as that worn by Dougie Hern, others wore just shorts and sunglasses. Many complained of being at a loss for things to do, with sport and fishing the only leisure activities. Mr Chappell, in the RAF, claims in his 50 days on the island, he did just one day's work, the day of the H-bomb. He is convinced they were there as part of an experiment, a view shared by some fellow servicemen. "We were lemmings," he says. "There was never any need for that many people to be there." The Ministry of Defence will not comment on the allegations but did say in a statement that it recognised the "vital contribution" these men played. It said compensation claims were considered on the basis of whether or not the MoD had a legal liability to pay compensation and were paid if a legal liability was proven. Three years ago, Mr Chappell, now 73, was diagnosed with polycythemia vera - a type of cancer that leads to the over-production of red blood cells - that he believes can be traced back to the 1958 bomb blast. Links between nuclear testing and premature deaths and cancer among veterans have been contested for years. The National Radiological Protection Board, now amalgamated into the Health Protection Agency (HPA), has been conducting a study of nuclear test veterans since the 80s. It compares cancer and mortality rates among servicemen involved in nuclear testing with rates among a control group of servicemen without any nuclear test links. Dr Colin Muirhead, the HPA's head of epidemiology in the radiation protection section, says his findings showed similar levels of mortality and cancer in both groups. However, there is "some indication of a raised risk of leukaemia" among those who had worked with nuclear tests, he says. The veterans may be used to battles. But this one, hindered by funding shortages and legal technicalities, has gone on longer than the Cold War during which it all began. Maybe now there is an end in sight. My ship the USS Cabildo LSD-16, and several others, were stationed at Christmas Island in 1962. We took the instrument targets out to the blast site and then retrieved them. We went through 31 nuclear blasts, and none of us glow or have diseases. I went on to have three healthy children and 10 grandchildren and none of them have any ill effects. There were 30 more blasts after we left. We experienced the two hydrogen bomb detonations in space from Johnston Island also. One of them went astray and was destroyed shortly after launch. 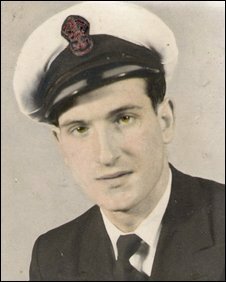 My uncle, Douglas Atkinson, was among the navy personnel in the 50s stationed at Christmas Island. He came home on leave with his back covered in abscesses the size of boiled eggs. My grandmother used to tend them. I am told he was in dreadful pain and discomfort and had to sleep on his stomach. Throughout his life he suffered with his health, and when I was young I remember he used to wear a corset to support his back as he had problems with his spine. Uncle Doug was always a joker, and it was always his goal to have us laughing out loud. I think he was quite remarkable really considering all he'd been through. He, together with his ex-servicemen campaigned for many, many years to try and gain recognition of what took place. Uncle Doug died last year but his wife, my aunty Kath, vowed to him she would carry on the fight. I wish all the ex-servicemen all the luck in the world with their campaign. All they did was serve their country and deserved better. My father was on the very first test in Monte Bello Island in 1953 but it rarely gets mentioned as the Christmas Island tests are the most famous. My father suffered with cancer and ill health from 1973 until his death in 1992. He never wanted compensation, like the other veterans he just wants recognition and that this tragedy should never be allowed to happen again. I have studied this issue for years and have known many of those involved in the US atmospheric tests. Epidemiology is the one true science here. Only epidemiology can identify radiation-induced diseases by demonstrating a statistically significant increase in exposed groups which is consistent with similar studies of other exposed groups. The sincere belief of one serviceman or reporter is not scientific proof. They are simply sincerely wrong if the epidemiology does not show an excess of the disease they feel was caused by radiation exposure. Safety standards existed at the time of atmospheric testing and were essentially safe. These men falsely assume the normal incidence of disease they suffer is linked to radiation. Radiation cannot even cause many of the ailments they have. It strikes me as absurd and infuriating that, in the 21st Century, a first-world government cannot admit that it was morally wrong to purposely expose unprotected soldiers to an atomic bomb blast. While the effects of radiation on the human body were not well documented at the time, and perhaps unknown to the enlisted men drafted into these tests, but a modern man should recognize these tests as barbaric, and the survivors as deserving of compensation. I am a nurse and a few years ago I looked after a retired New Zealand navy sailor who had witnessed the nuclear tests. He was a very sick man. He and his comrades had been told, apparently, that "this never happened". My husband was in the US Navy and also witnessed several tests. He had lymphoma in the 90s, but has never been a smoker. My father was a navigator on a British merchant ship in 57 and 58, he died at 52 from multiple myeloma. His death absolutely destroyed our family and even now 20 years later, we cannot believe the callous nature of denial of the suffering of families like ours from the British government. The tragedy means his potential was never reached, his wife, children and grandchildren missed out on his beautiful presence and he died a horrific death after seven years of "keeping up a brave face". He and others like him deserve a medal not some bureaucratic dismissal. Thank you to all of those who are fighting for the dignity of these personnel. While it is very difficult to establish a direct health link between these BRAVE troops(that preformed their duty) and the exposure to harmful radiation during this time frame, it is CLEAR with what we know now, that they indeed deserve help from the government. Canada had a similar story with some of our troops exposed to Atomic blasts in Nevada. The evidence of permanent damage is extremely weak. As far as I know there was no obvious increase in the expected death rates. And the proof of the pudding is a statistically significant increase in the death rate. Without that support, it is difficult to push or support claims of injury. Personal testimonials cannot be used to support a class action general injury claim.